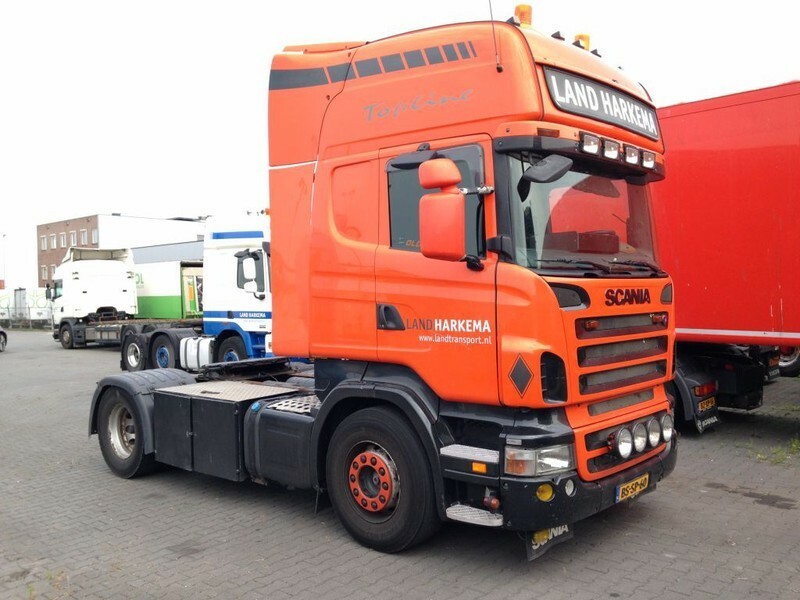 Buy Scania R420 Topline 3 Pedale tractor unit by De Bruin Trading B.V. The list of SCANIA R 420 tractor unit offered for sale in our catalog is constantly increased. Engine/driveline: Euro 5, diesel, displacement: 11705 cc, engine cylinders: 6, 420 hp, gearbox: automatic, transmission: Halbautomatisches Getriebe, retarder/intarder. Chassis configuration: 4x2, number of axles: 2, chassis side skirts. Cab design: cab type: sleeper cab, cab model: Topline, roof spoiler, air conditioner, parking heater, cruise control.